Home / Malewicz / Malevich’s Black Square : A fallacious discovery ? Malevich’s Black Square : A fallacious discovery ? 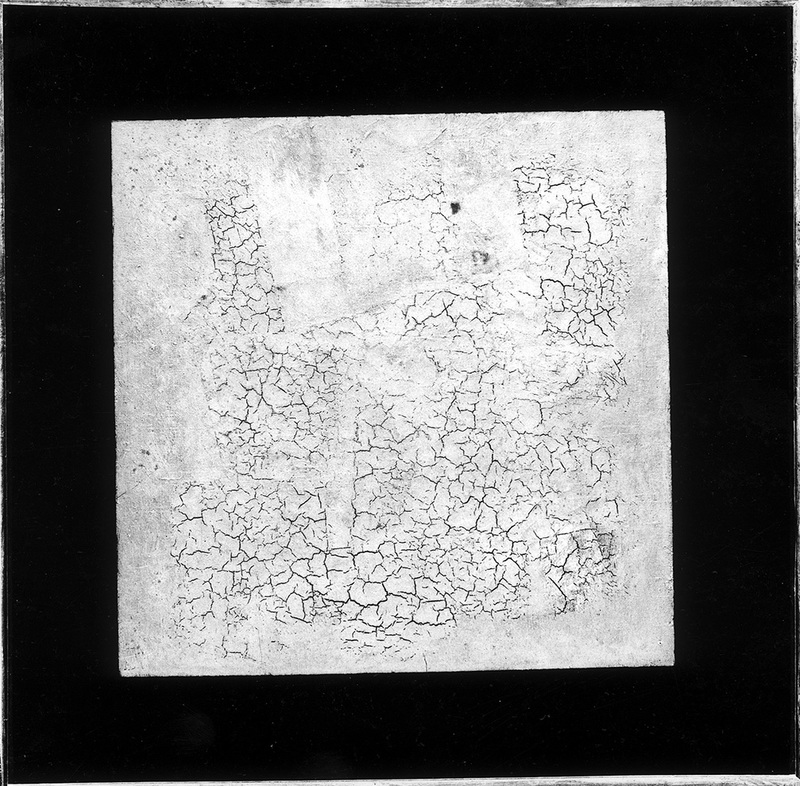 Lately I have been bombarded with questions concerning a “sensational discovery” at the Tretyakov Gallery in Moscow whose technicians made x-rays of Malewicz’s Black Square (1915) and are said to have found hitherto “unpublished” images beneath the surface of that painting. The ensuing commotion centers on one – or possible two – compositions (or rather sketches or vestiges of sketches) said to exist under the surface of this painting, celebrated ever since Miroslav Lamac published it in 1967. The museum authorities also claim to have been found an inscription, though neither the handwriting nor the content has yet been identified and the latter (if any ?) remains to be interpreted. As for the composition itself, which is located under the topmost paint layer, I have been familiar with it for the last two decades. At the cost of great effort and several years of insistent administrative procedures (and no less thanks to some complicity) I was finally able in the mid-nineties to get the Moscow Museum to x-ray Black Square. I published this x-ray, which was reconstructed from several fragments, on page 153 of the fourth volume of my monograph Kazimir Malewicz, le peintre absolu (Paris, 2007) in the chapter devoted to the artist’s painting technique. The London publisher Lund Humphries brought out this book in English in 2010 under the title Malevich, Painting the Absolute (the x-ray is reproduced on p. 154 of Volume 4). My study garnered the attention of experts at the time and was reprinted in English in the scientific journal of the IRSA Institute in Krakow, Poland (“Devices, Style and Realisation: Professionalism in Malewicz’s Painting Technique,” Artibus et Historiae, no. 57 (vol. XXXIX), Vienna-Krakow 2008, pp. 183-239, in the English translation of Chapter 31 of Kazimir Malewicz : le peintre absolu, Paris: Thalia Edition, 2007). A positive review of my research also appeared in the British journal ArtWatch UK (vol. 28, 2012). Widely published reports of this “find” in Russian — and French — media remind me of a short satiric text that Viktor Shklovsky devoted to the “rediscovery” of the alarm clock by an ingenious Russian peasant (I published a French translation of it in 1973 in Shklovsky’s La Marche du cheval, Paris, Éditions Champ Libre). I am delighted to observe that a number of my Russian colleagues have rallied to my approach using x-rays of artworks, a procedure I have long been advocating every time a new attribution of a Malewicz painting is submitted to me. However, I insist that x-rays of paintings that have already been taken, especially those that have been previously published, need to be remembered if one is truly concerned with advancing knowledge, saving time and unnecessary expenses. On the other hand I would suggest that the Tretyakov Gallery x-ray the painting Doctor Mabuzo (Docteur Mabuse) which, I believe, has been incorrectly attributed to Malewicz. This canvas has been in the Tretyakov’s collection since the late 1950s and on these grounds was included misleadingly in the painter’s latest retrospective (2013-2014, Amsterdam, Bonn and the London Tate). If it were x-rayed, perhaps it would then become obvious that the composition is nothing more than a common advertisement board. 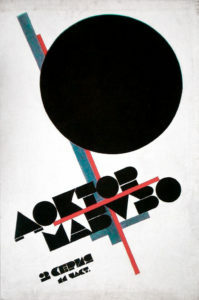 To be sure it was inspired by Suprematism; however, it was not actually executed by Malewicz but by an unknown student of Ilya Chashnik’s, as attested by an exhibition photograph taken in 1926 and published at the time – an exhibition of “decorative works” made by students at Leningrad’s Decorative Institute.